Exposition of the Blessed Sacrament flows from the sacrifice of the Mass and serves to deepen our hunger for Communion with Christ and the rest of the church. The Rite concludes with the ordained minister blessing the faithful with the Blessed Sacrament. This group is an international association with papal approval. Members are people who are committed to adoration of the Blessed Sacrament throughout their lives. At St. Andrew, we meet the first Saturday of each month from 9:00 p.m. to 5:00 a.m. in the Chapel. All are welcome to join us in prayer. Contact: Juan Corona, liccorona32@gmail.com, 678-914-8623. Guardians offer an hour of prayer each week before the Blessed Sacrament exposed in our Chapel. Eucharistic Adoration is an expression of our love for Jesus. Adorers experience a deeper faith and a closer relationship with Jesus during this time. 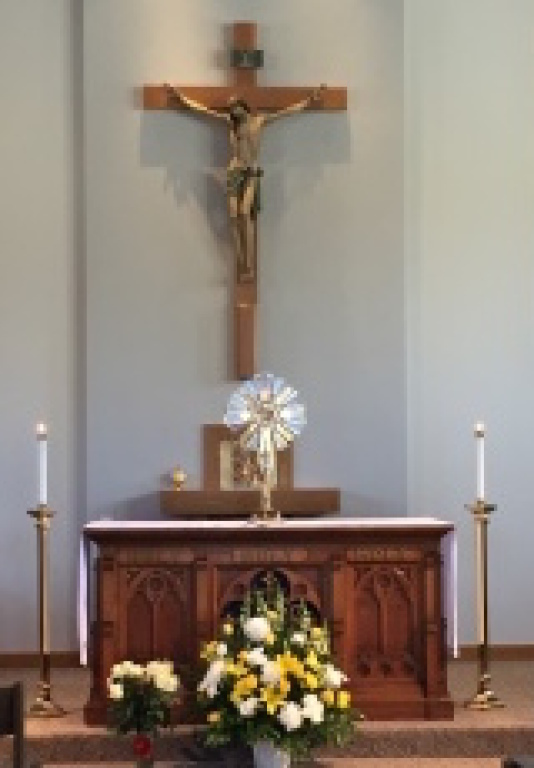 Often, the peace and love felt during the adoration hour extends throughout the day. Exposition of the Sacrament occurs Monday, Wednesday, Thursday and Friday from 9:30 a.m. to 9:00 p.m. and Tuesday 9:30 a.m.to 7:00 p.m. At least two guardians are needed for each hour. Please contact us if you would like to volunteer as a guardian, with a committed time slot, or as a substitute who serves at flexible times. Sign up today—an hour with Jesus will provide you with immense peace!